Dr. "Ed" Burnette died much as he had lived, gently and peacefully, at his home in Lanier Village Estates, Gainesville, Georgia on Sunday January 13, 2019. Dr. Burnette, 86 was born in Douglas County, Georgia on June 5, 1932, the only child of Byron "Riley" Burnette and Daisy Bomar Burnette. After graduating from Grady High School in Atlanta and attending Georgia State University for two years, he joined the United States Navy and served as a Hospital Corpsman. Then it was back to school, completing his Bachelor of Science Degree in 1955 at the University of Georgia. He worked as a bacteriologist for the Georgia Department of Public Health before deciding on a career in dentistry which would become the vehicle through which he contributed so much to so many. He earned his D.D.S. degree from Emory Dental School in 1961. It was during this time at Emory that he met and married Elaine Smith Burnette, originally from Douglasville, Georgia. Upon graduation from Emory, Dr. Burnette and his wife, Elaine, chose to move to Gainesville, Georgia to set up his dental practice and establish their home. When asked, "Why Gainesville?" He would reply, "Because of the lake and the woods." He was a lover of water and water sports and an avid hunter, enjoying roaming the quiet, peaceful forest of the area as he met the challenges of the sport. And lets not forget Gainesville's close proximity to the University of Georgia and the "Dawgs". Dr. Burnette was a faithful and loyal supporter of the UGA Bulldogs. So for over 60 years, Dr. Burnette has loved and served the Gainesville community. He felt the Gainesville was a great place to raise children, and he and Elaine raised a daughter, Karen Rinehart, and a son, Ken Burnette, here in this community "enjoying every minute of it". 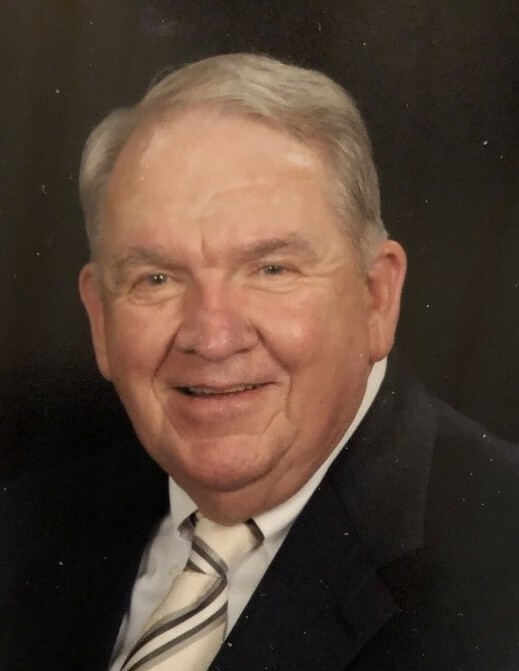 He had great fun coaching Little League baseball for 4 years while finding time to serve on various civic boards and organizations, being a member of the local Kiwanis Club for over 40 years. He and Elaine joined the Gainesville First United Methodist Church when they moved here in 1961 and have been faithful servants of that church ever since. But it was through his skillful hands and compassionate heart that he offered the most to this community he loved so much. As he would share many times, "When I chose a career of dentistry over medicine, I made the correct choice. I have thoroughly enjoyed dentistry." And that joy truly emanated in the generations of families he cared for and the time and energy he contributed to the many national, state, district, and local professional associations he was a part of. If we look at the one thing professionally that had the farthest outreach to the greatest number of people, we would have to say his role as the Director of the Green Warren Dental Clinic of the Good News Medical & Dental Clinics from 1997 until January 2015. It was the first and only FREE dental clinic in the state of Georgia at the time, and today it is rated as one of the Top Ten Free dental clinics in the United States, an honor that he and all of the community can be proud of. During these years of service he received many awards for his tireless commitment, including in 2009, the Gainesville/Hall County Rotary Club "Man of the Year" award. Dr. Edwin Riley Burnette, a life well-lived, as defined by the family he loved; the gratitude he had for the differences he was able to make through his successes and achievements; and the friends he cherished. As he once said about his life, "I had fun." Dr. Burnette is survived by his wife, Elaine Smith Burnette; daughter, Karen Rinehart (Joe) of Woodstock, Georgia; son Ken Burnette (Barbara) of Gainesville, Georgia; and grandson, Parker Andrew Rinehart who attends Rhinehart University. Memorial services will be held at 2:00 p.m. Wednesday January 16, 2019 at the Gainesville First United Methodist Church. Rev. Scott Hearn will officiate. A private family interment will be held at a later date. The family will receive friends in the Gathering Room at the church after the memorial service. The family request that any memorial gifts be given to The Green Warren Dental Clinic of the Good News Clinic, P.O. Box 2683, Gainesville, GA 30503; or the Gainesville First United Methodist Church Foundation, 2780 Thompson Bridge Road, Gainesville, GA 30506. The family would like to say many thanks to his caring helpers at Willowbrook Nursing Home.